The work of Queen’s Young Leader award winner Jerome Cowans has been recognised by President Barack Obama during his recent visit to Jamaica. Mr Obama singled out Jerome, to praise him for his work with Leaders Endeavouring for Adolescent Development (LEAD) which provides personal development opportunities for young people in Jamaica, so they will go on to better futures. 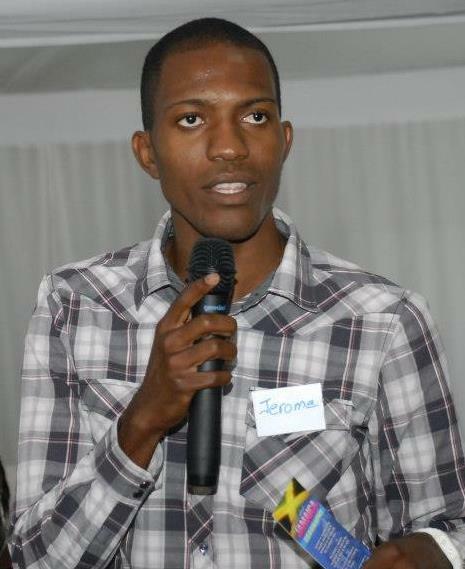 When Jerome was 12 years old one of his friends was killed in a violent incident. It was then that he decided he didn’t want his life to go down that route. “So at the ripe old age of 13, he founded a youth group to help others like him stay on the right path,” Mr Obama said. 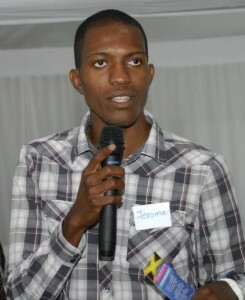 Giving a speech at the University of the West Indies, he praised Jerome for his work. “He was threatened but he kept at it. And he said, ‘Things won’t get any better if no one does anything’. And today, the LEAD Youth Club he started has six chapters, including one in Colombia. The six branches of LEAD are based in Jamaica and Colombia and are all run by volunteers.